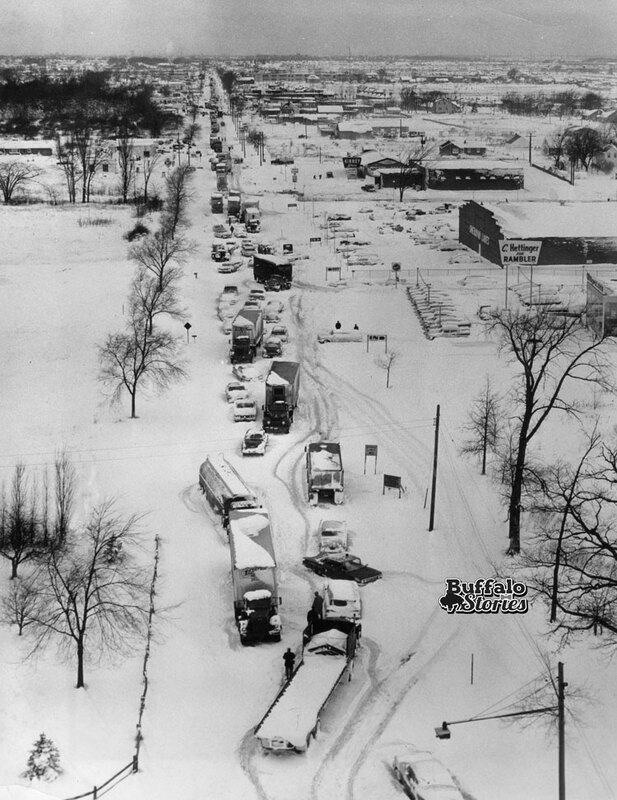 A snowstorm and a couple of jackknifed tractor-trailers had Sheridan Drive backed up from just after Harlem Road all the way to Niagara Falls Boulevard in this early 1960s photo. The “C. 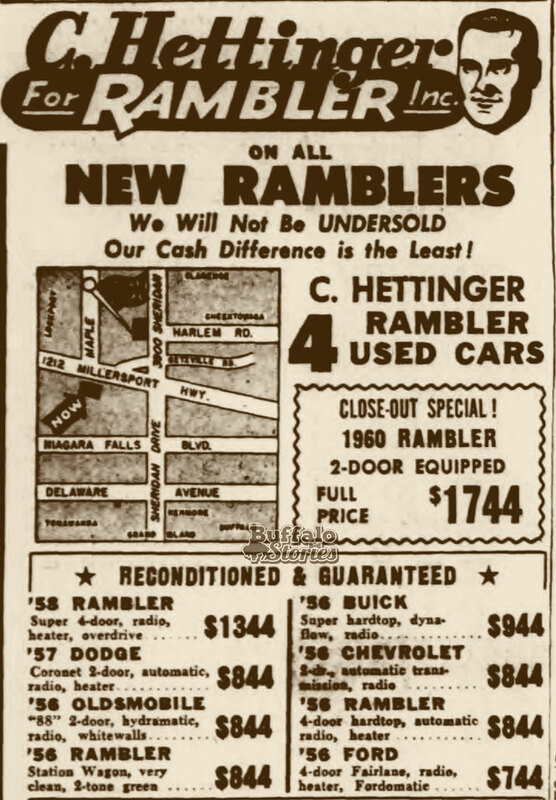 Hettinger for Rambler” car dealership is in the foreground on the right – today, it’s about where Northtown Kia and Northtown Mazda are located. 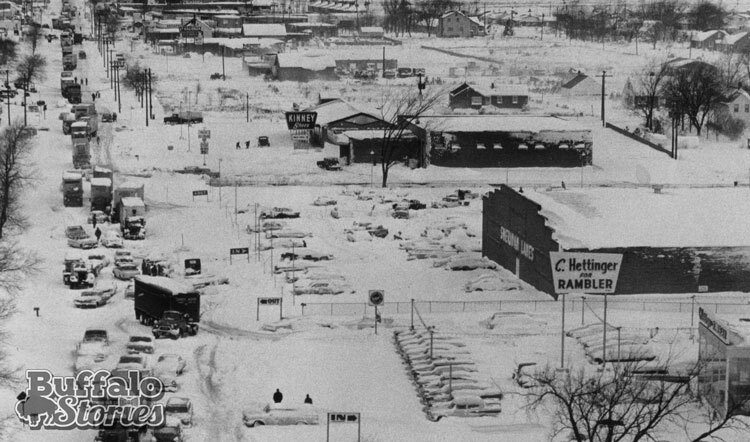 Charles Hettinger opened for business in the spot in 1960. 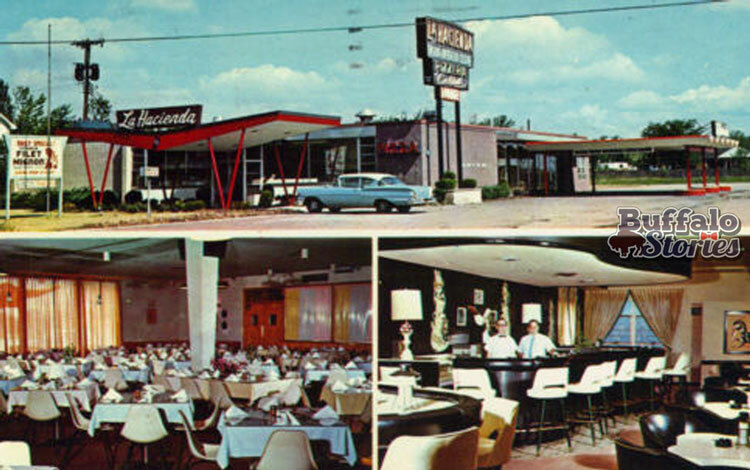 Next door, Herb and Burt Wallens opened Sheridan Lanes and its “broad expanse of 48 precision Brunswick Lanes” in February 1957. It was billed as “one of America’s finest bowling establishments, for your bowling pleasure” upon opening. Beyond is Kinney Shoes and the final legible sign off in the distance, which belongs to the La Hacienda Sheridan Restaurant.